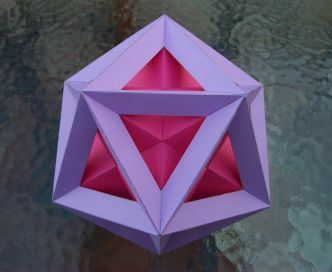 This is an example of what is sometimes called a Leonardo-style polyhedron. 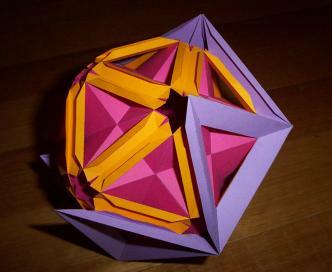 Leonardo DeVinci drew pictures of polyhedra where the edges were made from solid wood, but the faces were hollow. 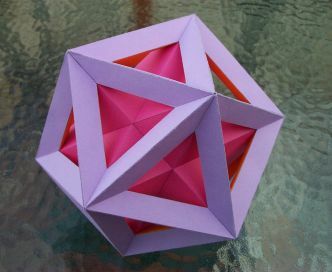 Here you can see a frame-work great dodecahedron, with a small stellated dodecahedron exposed inside. 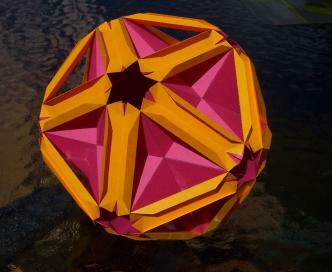 Those models are consecutive stellations of the dodecahedron, and this new model helps to show that relationship. 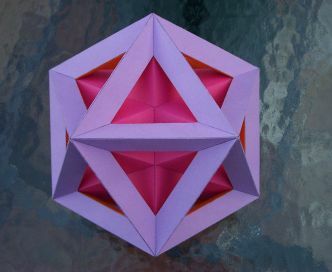 The model is a stellation of the great stellated truncated dodecahedron. 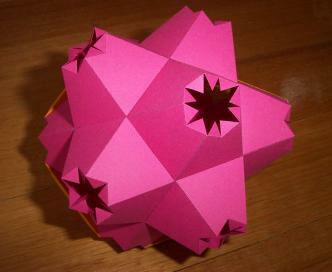 The central part is built first, which resembles a small stellated dodecahedron with its spikes cut off jaggedly. Then bridge pieces are glued between the peaks. Finally, glue on the outside layer. This model is not hard to make with a little perseverance, and is very solid. The view down a 5-fold rotational symmetry axes. The view down a 3-fold rotational symmetry axes. 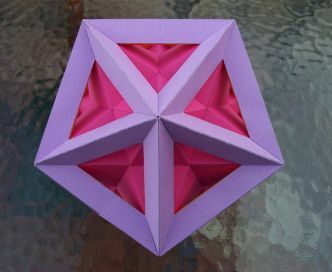 The view down a 2-fold rotational symmetry axes.